Sometimes smart home devices are loved by everyone, and sometimes opinions differ. That’s the case with today’s deal, the third-generation August Smart Lock, which is $100 at Amazon today. That’s close to $32 off its most recent sale price, and a full $50 off its retail price. Now, here’s the thing. Our TechHive colleague and smart home guru, Christopher Null, didn’t really like the third-generation August Smart Lock, giving it 2.5 out of five stars. Amazon users, however, rate it four out of five and seem to love it as of this writing. We’d recommend having a look at our review (link above), and then reading reviews and comments on Amazon to make up your own mind. At only $100 it might be worth the risk. That’s a steep discount. 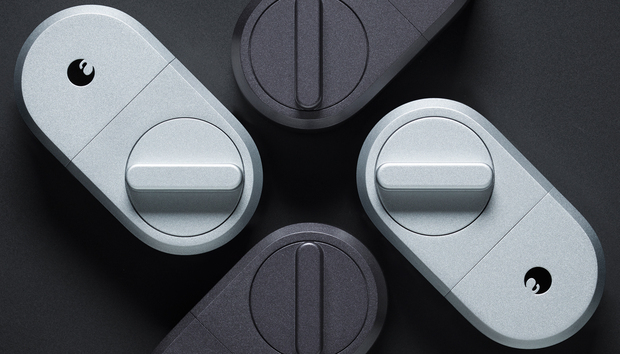 The third-gen August Smart Lock comes in silver or dark gray. It allows for keyless entry to designated people, and it can monitor who is entering and exiting the home. You can give keyless access to different people for a few minutes, hours, days, weeks, or permanently—it’s up to you. It also attaches to your existing deadbolt so you don’t have to get a new set of keys. The lock is compatible with Amazon’s Alexa and Google Assistant for locking the door with just your voice—a handy tool when you’re in bed and aren’t sure if you locked up for the night. Echo users also get a nifty feature that lets you combine Alexa with an August Doorbell Cam and an Echo Show or Spot to unlock your door with a voice command and a PIN while watching the door’s video feed. The lock also supports Apple’s HomeKit, Z-Wave Plus, Wi-Fi, and Bluetooth.